Virginia vacation rental accommodations in the romantic Blue Ridge Mountains, Skyline Drive, Blue Ridge Parkway and the Shenandoah River Valley area. Luray Virginia and available online at FindVacationRentals.com. 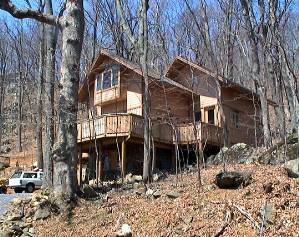 Photos, availability and instant direct access to Luray Virginia owners or managers. Book your next home away from home direct and save! Interested in More Luray, Virginia ? Check out nearby Berkeley Springs, Canaan , Cascade , Mount Airy , New Market , Warfordsburg , Wintergreen .